Kojiki is one of Kitaro’s greatest albums, easily in the top five of his impressive discography. Staples such as ‘Matsuri’ and ‘Koi’ have always been performed in his live tours. But more importantly, this album marks a major shift in Kitaro’s musical sensibilities. He goes for a more orchestral sound, and has never looked back since. His follow-up albums such as the interesting experiment Dream (1992), which features vocal songs for the first time in a creative collaboration with Jon Anderson, and his brilliant Golden Globe-winning score for the Oliver Stone film Heaven and Earth (1993), are examples and beneficiaries of his newfound musical direction – a symphonic and synthesized sound with more layered arrangements. 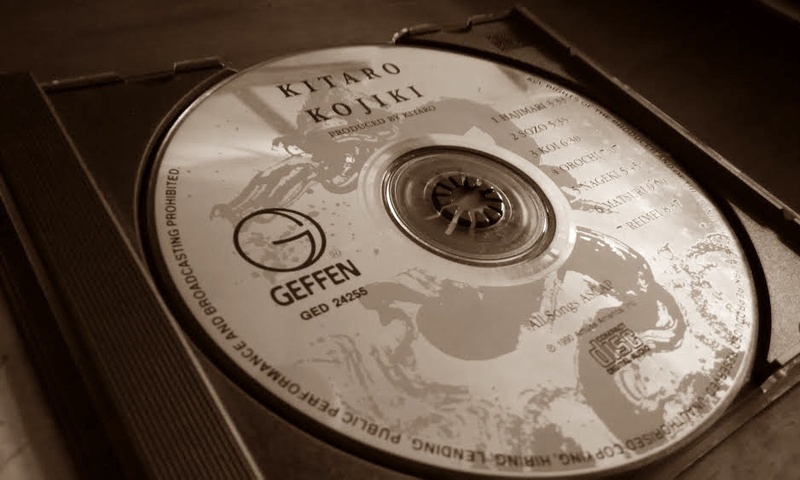 In a way, Kojiki is more epic than any of his 1980s work, and there are some spectacular tracks such as ‘Orochi’, ‘Matsuri’ and ‘Reimei’ that will give your hi-fi set a good test. Based on the ancient account of the creation of Japan, the album starts off with the ominous ‘Hajimari’, before one of Kitaro’s most emotionally resonating melodies come into play in ‘Sozo’. This melody recurs in the final track ‘Reimei’, and in perhaps the entire album’s most breathtaking moment, it builds up into a stunning bell-chiming arrangement. Some have denounced the use of the electric guitar in ‘Orochi’ and ‘Reimei’, sullying what would have been a Japanese-flavoured synth-symphonic masterpiece. I beg to differ – that is the mark of progressive music and an artiste willing to experiment with new ways of making music. 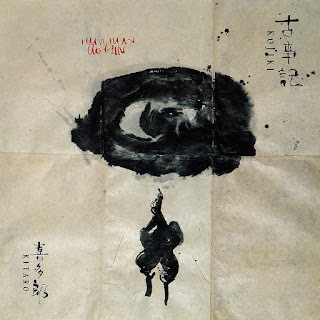 If his preceding album The Light of the Spirit (1987) was a testbed, Kojiki is the completion, and an enduring masterwork that rewards endless listening joy. ‘Orochi’ – It translates into “eight-headed dragon”, and the music reflects the intensity and ferocity of the courageous if brutal battle against a feared monster. One of Kitaro’s most action-oriented tracks, its pulsating energy never lets off, with a fine balance of synthesized shakuhachi, strings, drums and electric guitar all combining to great effect. Ends with a fine hit of the Chinese gong. ‘Matsuri’ – Possibly Kitaro’s most famous piece, perhaps even more popular than his ‘Silk Road’ theme, this track celebrates the festival spirit of joyousness, even if according to legend, it was all just a trick to get someone out of a cave. The melody is immediately recognizable, but while the track had been performed live in numerous spectacular forms and arrangements over two decades, this original studio composition is still the best with the drums accompaniment more effective in giving a more subdued, trance-like rhythm.